Kglow SkinLab is a bespoke diamond and anti-aging beauty center with a mission to specifically address all individual skin problems, needs and wellness. Our methodology is combing state of art equipment with holistic approach and avantgarde formulation making us a frontier in this business, delivering the ultimate range of pampering facial and body treatments with lasting results. Supported by celebrities, beauty queens and international socialites substantiated our services as they are all truly amazed by the results after one session. Our beauty and wellness treatments are designed to optimize the skin and body’s rejuvenation process. We utilize biotechnological advanced products to offer a diverse and effective range of therapies to help clients in renewing, refreshing and rejuvenating the skin cells. The world GLOWS with Kglow in transforming both men and women towards better skincare & soul. In ancient times diamonds were regarded as the gemstones of Venus, the Roman goddess that represents beauty, love, and fertility. In modern times diamonds are considered as a symbol of purity and perfection. 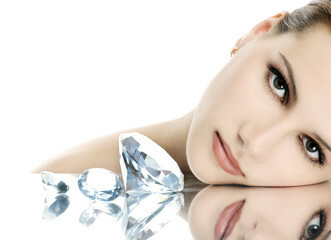 “Beauty with Timeless Elegance” is just what Kglow SkinLab advocates and in line with our range of beauty skincare treatments, we have diversified into Diamonds to compliment the new age modern women and men. To offer luxurious, efficient, impeccable and affordable aesthetics, beauty and wellness services to all. WEBSITE DISCLAIMER : KGLOW SKINLAB provides the www.kglowskinlab.com site as a service to the public. KGLOW SKINLAB is not responsible for, and expressly disclaims all liability for, damages of any kind arising out of use, reference to, or reliance on any information contained within the site. While the information contained within the site is periodically updated, no guarantee is given that the information provided in this Web site is correct, complete, and up-to-date. Copyright © Kglow Skin Lab. All rights reserved.